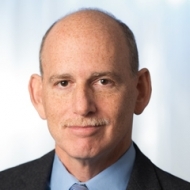 Ethan Nadelmann is the founder and executive director of the Drug Policy Alliance, the leading organization in the United States promoting alternatives to the war on drugs. Nadelmann received his B.A., J.D., and Ph.D. in Political Science from Harvard as well as a Masters’ degree in International Relations from the London School of Economics, and taught at Princeton University for seven years. He has authored two books – Cops Across Borders and (with Peter Andreas) Policing The Globe – and his writings have appeared in most major media outlets in the U.S. as well as top academic journals (e.g., Science, International Organization), policy journals (Foreign Affairs, Foreign Policy, Washington Quarterly, Public Interest) and political publications from the right (National Review) to the left (The Nation). He is interviewed frequently by media, including The Colbert Report, The O’Reilly Factor, Real Time with Bill Maher, and news programs on all the major U.S. networks as well as dozens of networks elsewhere.